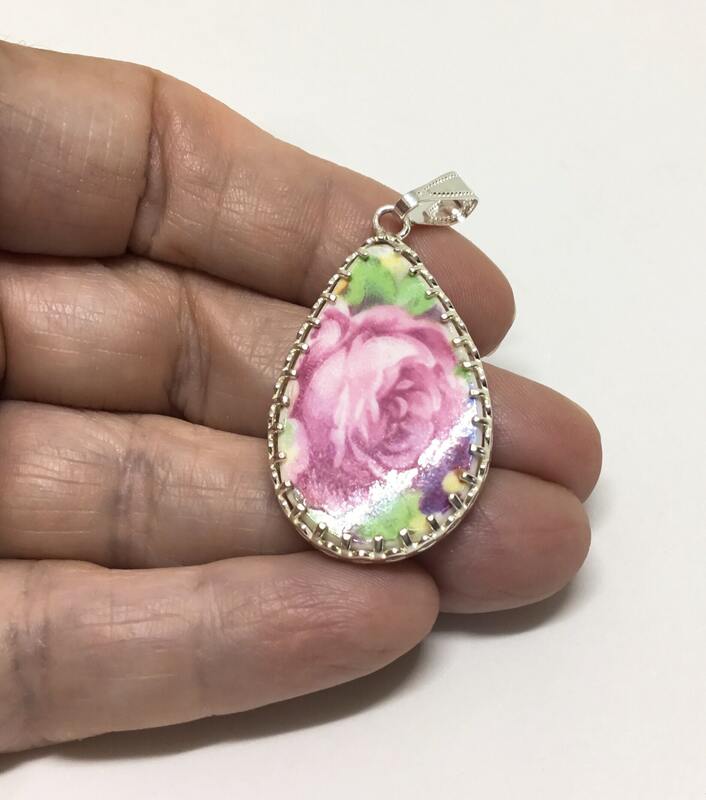 This is a sweet handcrafted broken china teardrop pendant made by Steve in our own studio. 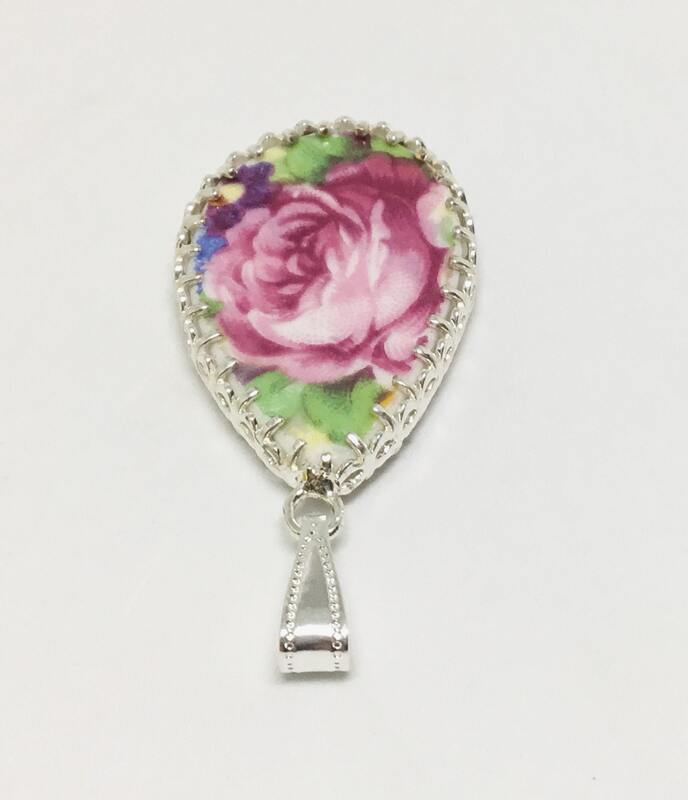 He handcut the teardrop out of a vintage Bone China Plate. 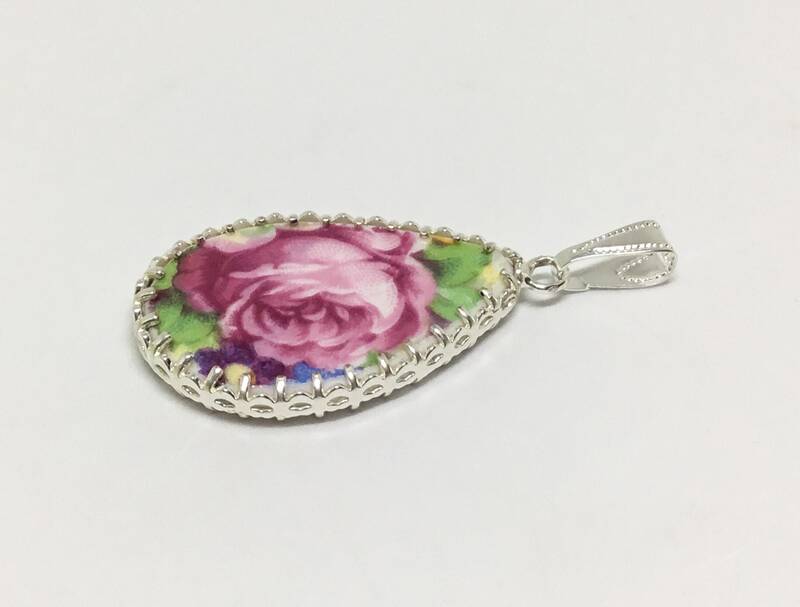 The pattern is a large pink cabbage Rose with some green leaves with no white China showing through. 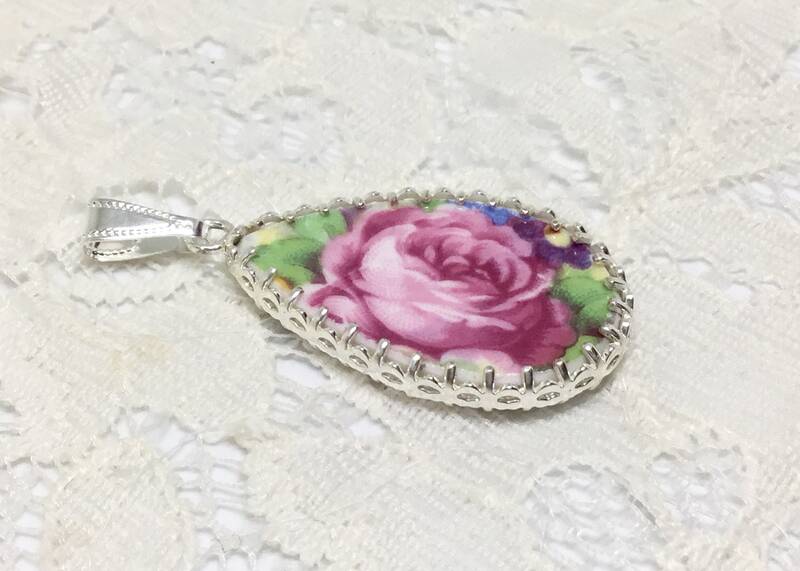 The setting is a pretty silver plated design. 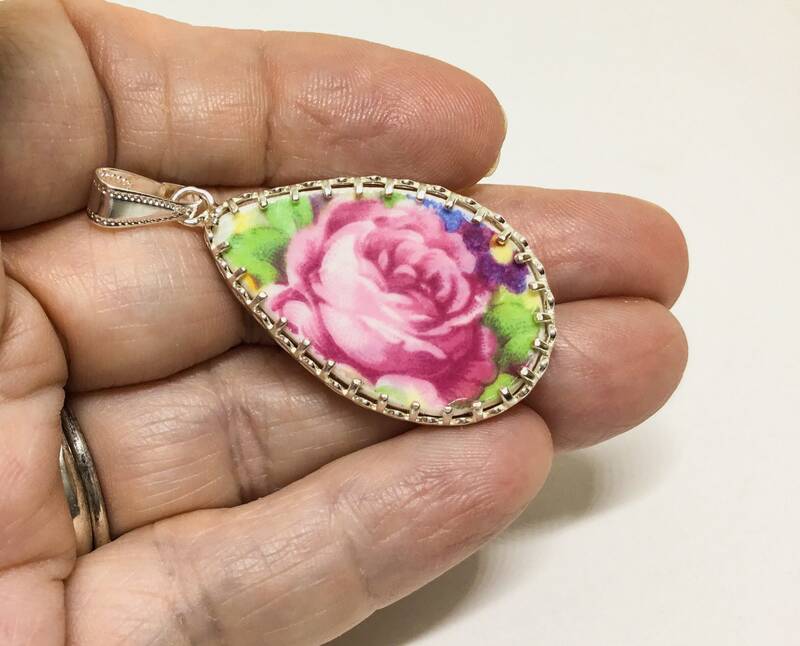 It measures 7/8” x 1 3/4” including the bail. 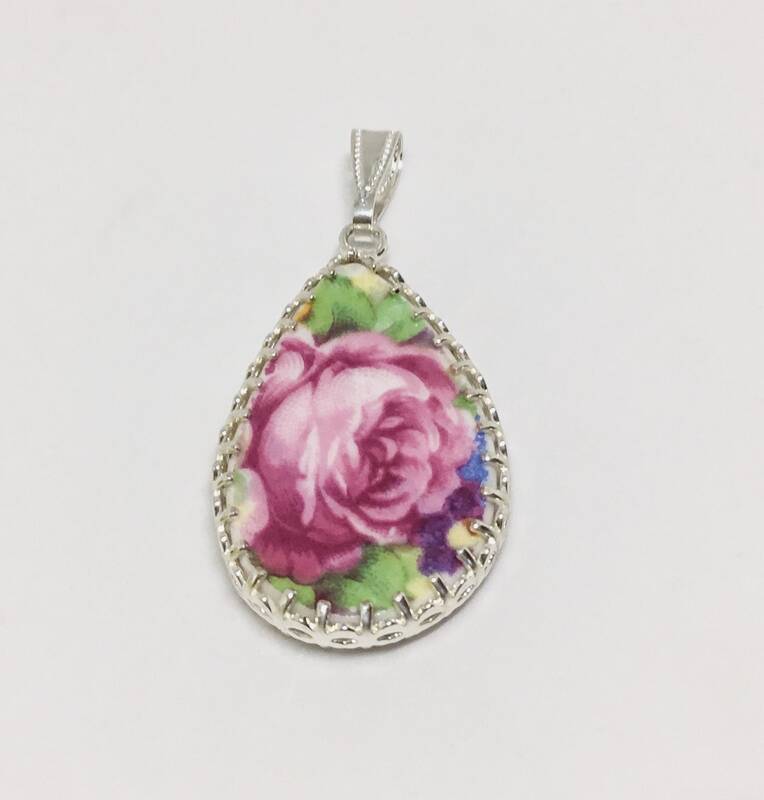 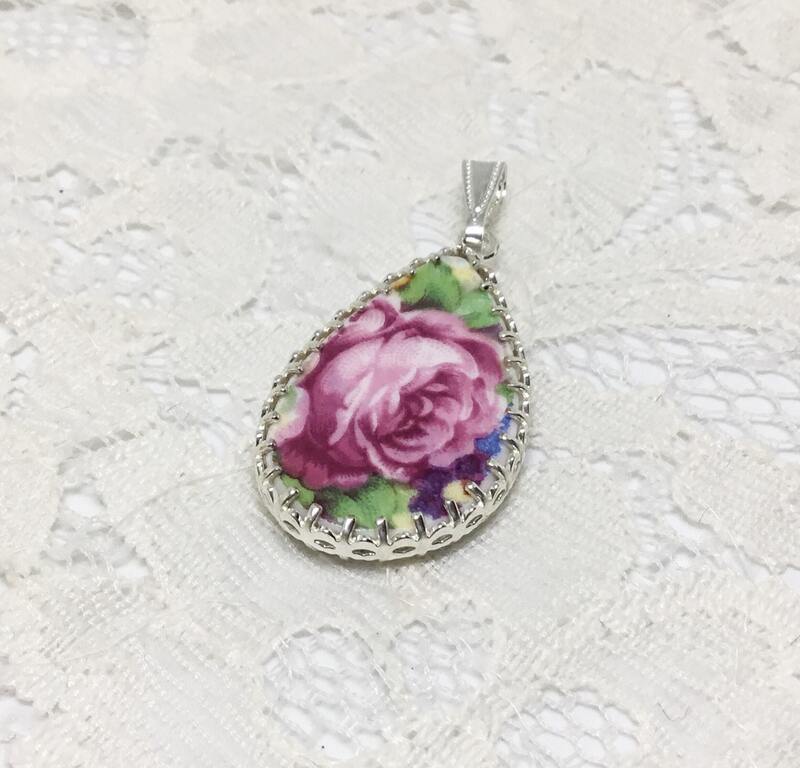 This is a wonderful and romantic pendant to wear or to give as a gift!